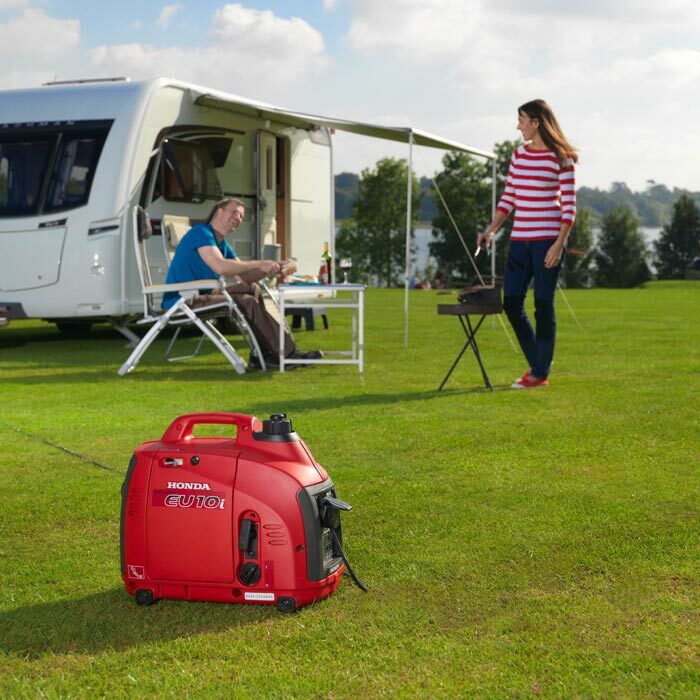 Wherever you need power, the super-portable EU10i will deliver 1000W of clean, quiet electricity to run and recharge your kit, whether on your travels or around the home. Weighing in at just 13kg, the compact EU10i certainly packs in the power and features. Housed within its curved and ergonomically designed case is a highly efficient Honda 4-stroke engine, 2.3 litre fuel tank and Inverter electronics. Super quiet operation - Revolutionary technology and sound proofed casing keeps operational noise to just 52dB(a) at 7m at 1/4 load, that of a typical business office. 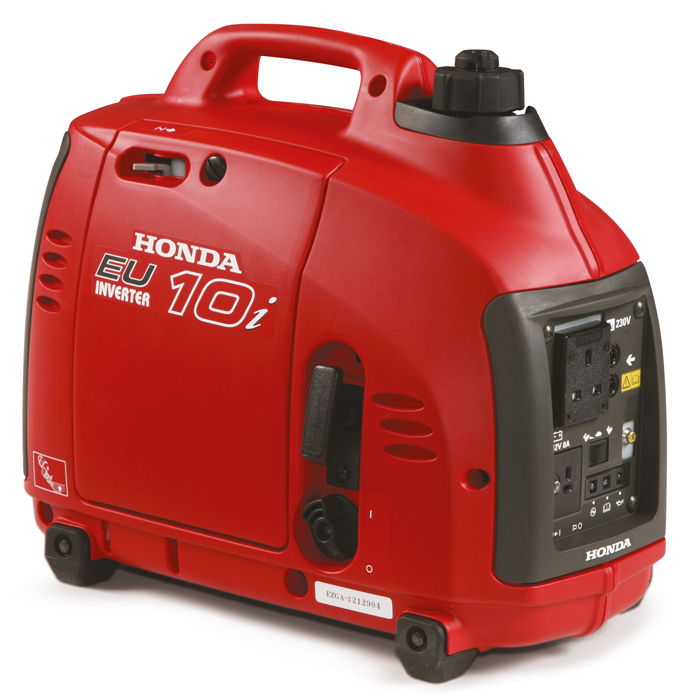 Pure Power - Honda's unique inverter technology produces a maximum 1000W (900W Rated) of clean and smooth power, essentials for computers or sensitive electronic equipment. Superb efficiency - Unique Eco throttle runs only as fast as the load demands, improving fuel consumption and extending engine life, achieving up to 8hrs running time on a single tank at 1/4 load. Light weight on compact - Weighing just 13kg, it is easy to carry, transport and store. Spill-free refuelling - Extra wide filler cap for easy filling. Sturdy platform - Rubberised feed minimise vibration and movement.